Each year, thousands of people flock to the Black Hills and Badlands of South Dakota. Some go to see the majestic sculptures of Crazy Horse or Mount Rushmore. Others travel to see the fantastic wildlife roaming freely through the fields. Still others ride their motorcycles for the annual convention in Sturgis or relive the Wild West in Deadwood. With great anticipation, our family drove to South Dakota to see the amazing vistas and visit the diverse U.S. National Parks of South Dakota. We traveled to the Black Hills during July, probably the busiest tourist time for the region. And while parks were teeming with visitors, we did not feel like the region was a tourist trap. There were still plenty of open roads and peaceful landscapes that you are unable to find in other locations that have so many tourist destinations. 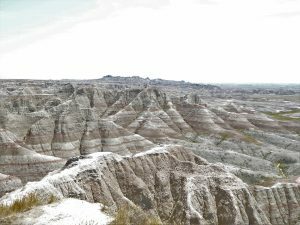 We left South Dakota wanting more — more of the rolling and verdant Black Hills, more of the fascination wildlife meandering through the fields (and sometimes the roads), more of the colorful tapestry of the Badlands. There is so much to see and do. We didn’t have enough time. Here are some of the highlights and not to miss attractions. The Memorial is lit up each evening during a patriotic ceremony. The iconic sculpture carved into the mountainside had been on our bucket list for a long time. The kids had a great interest in visiting too. We have written more about our time here. 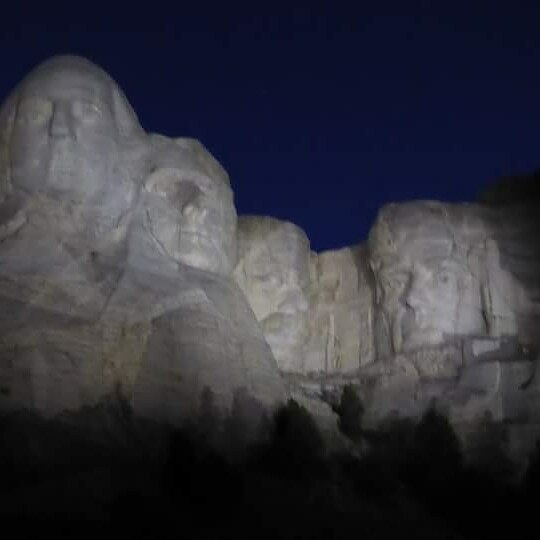 We loved the anticipation of driving toward the memorial and that crowning moment when you round a switchback curve and spot the 60-foot tall faces carved in white stone. It is unforgettable. So to is the lighting ceremony, which takes place each evening. The ceremony is clearly patriotic in tone, but as American citizens, it stirred us in unexpected ways. After spending an evening at Mount Rushmore, we spent the next day close to our hotel in Hot Springs, South Dakota. 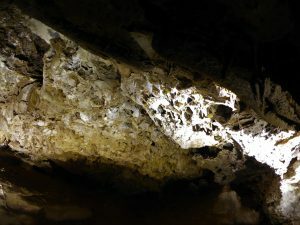 A short 10-minute drive took us to Wind Cave National Park, one of the oldest NPS parks, and one of the three largest cave systems in the world (nearby Jewel Cave National Monument and Mammoth Caves in Kentucky are the other two). The cave is a labyrinth of interconnecting passageways. Wind Cave offers a number of cave tours. The line to get ticket was long on the day we were there. We took the Garden of Eden tour, one of the shorter and more accessible tours. The one-hour tour was a perfect length for our family. We were introduced to the natural entrance to the cave, and admired the rare boxwork formations in the cave. The Ranger who led our tour was amazing and kept us entertained and informed throughout. We found so much wildlife at Wind Cave. Yes, we saw coyotes, deer, bison, and prairie dogs while there. At the visitors’ center, we also learned about the black-footed ferret. Once believed to be extinct, the black-footed ferret was found in Wyoming and reintroduced to the park. It is the primary predator of the prairie dog, and park rangers are hopeful they can get the prairie dog population back to equilibrium with the reintroduction of the ferret. 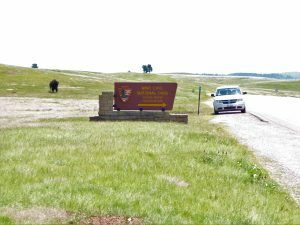 Sharing a boundary with Wind Cave National Park is state-run Custer State Park. The park is home to deer (we saw a fawn), elk, pronghorn antelope, mountain goats, and bison. The park is home to a herd of some 1200+ bison that freely roam the 71,000 acre park. We drove through the 20-mile Wildlife Loop Road, a cannot miss trip in the park. Here we saw more bison than we could count. We also had an up close experience with the wild burros of the park. A passing tour bus operator handed our family some carrots to feed the burros. 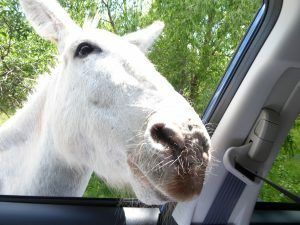 One very forward burro nosed his way into our passenger-side car window for the vegetable treat and a pat or two on its snout. This burro nosed its way into our car for a carrot treat. We had lunch at the Legion Lake Lodge and enjoyed stunning views of the lake while eating our generous-sized meals. We loved the park so much that we drove back through it another day while returning to our hotel in Hot Springs. Entrance to the park is $20 for a 7-day pass. It is well worth the expense. Our kids were born long after the Cold War ended. They had no knowledge of the arms race between the U.S. and Soviet Union from the 1940s through the 1990s. But they were able to learn about that history at one of my favorite NPS locations. Minuteman Missile National Historic Site runs parallel to Badlands National Park on I-90. At three interstate exits, you can see and experience a bit of history. My favorite stop was at Minuteman Missile National Historic Site. We were able to visit Delta-09, one of several missile locations that dotted the South Dakota landscape during the Cold War. Here, we were able to see a disabled Minuteman Missile is its silo and speak with a Ranger about the Cold War and missile program. 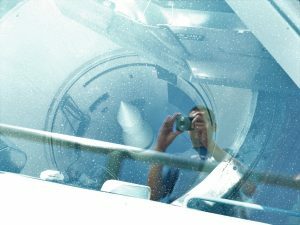 If you plan ahead, you can actually tour the Delta-1 silo and go down into the control room there. The visitors center showcases the history of the arms race. There are many engaging displays that both entertain and educate. Our children were intrigued by the history of the Cold War and laughed at some of the propaganda the U.S. produced during those years. Before we visit a National Park, I follow the site’s Facebook page. And my favorite NPS Facebook feed is Minuteman Missile. They always post informative and entertaining information about the missile program, the arms race, and the history of the Cold War. While not the most popular of the destination in South Dakota, we highly recommend that you check out and tour Minuteman Missile National Historic Site. The scenic formations in the Badlands make you feel like you are on another planet. Across the road from Minuteman Missile is one of the entrances to Badlands National Park. The Badlands are peculiarly beautiful and seemingly out-of-place against the flat prairie of the surrounding countryside. The 244,000 acre park is made from geologic deposits of volcanoes hundreds of miles away. One can find prehistoric fossils on hikes and digs in the park. The visitors’ center has a white board listing recent fossil discoveries by park guests. When we visited, several fossils had been found during the past week. Time and debris leave beautiful and otherworldly features in the Badlands. But what drew us to the Badlands were the amazing cliffs and stunning colors formed by the geologic deposits left over time. 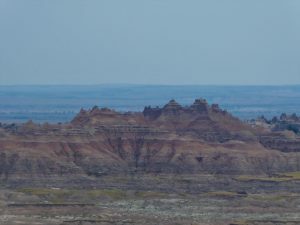 We drove through the park’s north Badlands Loop Road, which provided more than 20-miles of scenic overlooks and colorful rock structures. One can also find wildlife ranging from prairie dogs and Bighorn Sheep in one of the largest preserved grasslands in the world. After spending most of the day at Minuteman Missile and the Badlands, we made a brief stop at Wall Drug Store in Wall, South Dakota. The site is a famous road trip stop, housing western memorabilia, boardwalk arcade games, bison burgers, and backyards statues and rides. the 76,000 sq-ft facilities bombards all your senses and is a bargain hunters dream spot. Our kids enjoyed finding souvenirs here. If you are anywhere near Wall Drug Store, make a point to stop in and enjoy the advertised free ice water. Have you been to the Black Hills and Badlands of South Dakota? Let us know your favorite destination in the region in the comments below. Great article, and what is more, it’s one of the few places that we actually didn’t explore with my husband in the US! Too bad… maybe we will be back to see the famous Rushmore and Badlands NP! America’s National Parks for us are absolutely #1 in the whole world. Yosemite is our personal best 🙂 Oh, and that’s great you visited in July and it wasn’t that touristy and you could find some peaceful landscapes, too! Thanks. We would highly recommend a return trip to visit South Dakota. We love road trips around the U.S. and South Dakota is on our bucket list. As an American, it seems that you just have to see Mt. Rushmore at least once in your life! Also loved the other ideas of Custer State Park and Wind Cave National Park! Thanks for sharing. We went specifically to see Rushmore but were impressed with all the other great places to visit. And there is so much we need to go back to see. South Dakota is on my list but some of these places I have never heard of. All of your pictures are stunning. I would love to go to the badlands and Mount Rushmore! Thank you for sharing, I can’t wait to go to South Dakota. This is a very motivating post to visit South Dakota. Of course I’d like to see legendary Mount Rushmore, but what I liked best from your article is the Custor State Park. Isn’t it a bit dangerous with the bisons?! They are wild animals so you must stay at a safe distance. We stayed in the car for most of the trip through Custer and took pictures from our car. That’s definitely going to be a holiday the whole family remembers! I’d love to see Mt. Rushmore and check out a cave tour if I’m ever back in the states! They were both quite the adventures. 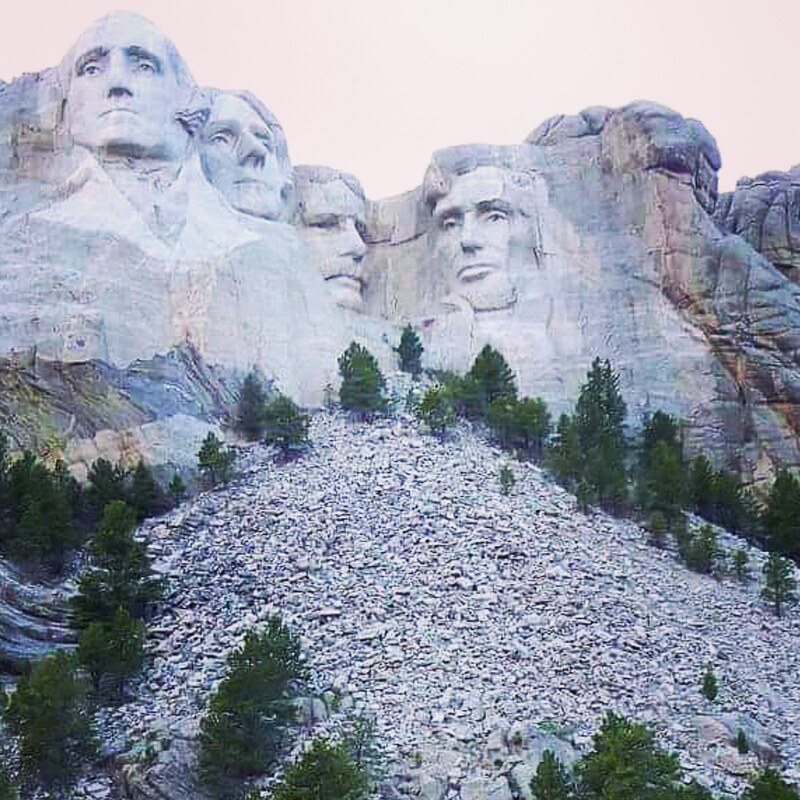 I of course knew about Mount Rushmore but I had no idea there is so much to see in the region, I would SO love to see the bison! I saw one in a zoo once and found it very impressive. It’s also pretty cool to visit old missile silos! For sure I would enjoy that. Thanks for all these cool visit suggestions! You’re welcome. It’s not difficult to see bison in the region. They are everywhere. Have seen Mt. Rushmore on Nat geo many times and it Is definitely an interesting monument to visit in the US but the wildlife lover in me would LOVEEE visiting the Wind cave park, the Custer state park and the Badlands national park. All look so stunning with their diverse landscapes and natural beauty! 🙂 The Cliffs of Badlands look amazing! All of them are amazing. We loved the diversity in the region. I love traveling around the western states. I have to go to Wind Caves that sounds like my kind of place. I think I’ve been to all the other places, and who doesn’t love Wall Drug? Wall Drug is pretty amazing. We didn’t go on this trip, but we’ve heard that nearby Jewel Cave is also exceptional. We’ll go there on our next trip to South Dakota. I drove through South Dakota years ago on my cross-country road trip. It was definitely one of the highlights. I did really enjoy Mount Rushmore, the Badlands and even Wall Drug, but for me the most vivid memory years later is of Crazy Horse. We witnessed a blast, and I still love to check out video cams to check progress! Getting to see a blast would have been amazing. We can imagine that would have been very memorable. The National Parks of South Dakota are so surreal and have a kind of wild beauty. I am enamoured by Mt. Rushmore, it is so iconic and in many ways is synonymous with America. I can never forget the climax scene of the very old Hollywood Classic North By Northwest which was shot here. Hope to get there some day. Yes, I always associate Mount Rushmore with that movie. I really wasn’t aware that South Dakota has so many amazing and astonishing national parks, Lahale! I fell in love with Custer State Park. When’s the best time of the year to go there? 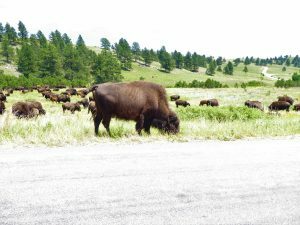 Custer State Park has a bison round up in the autumn which is a big draw. While you can visit year-round, winter can have severe weather and summer is going to be busier with tourists. I’ve done most of these parks, and I have to say the Badlands is my absolute favorite. It’s beautiful…I could hike it and drive around it for days and days. Great article, and you highlighted some really great sites to visit! Badlands was awesome. I wish we had more time to explore it. I had no idea they lit up the monument at night! Not sure if I think that’s awesome or a bit unnecessary haha.. In any case, the Badlands look incredible!!!! I thought the light up ceremony would be a little excessive too. But we went after a recommendation from my in-laws and I found it to be a very moving experience. Mount Rushmore is also on my list of things to see one day. Glad it didn’t disappoint you! 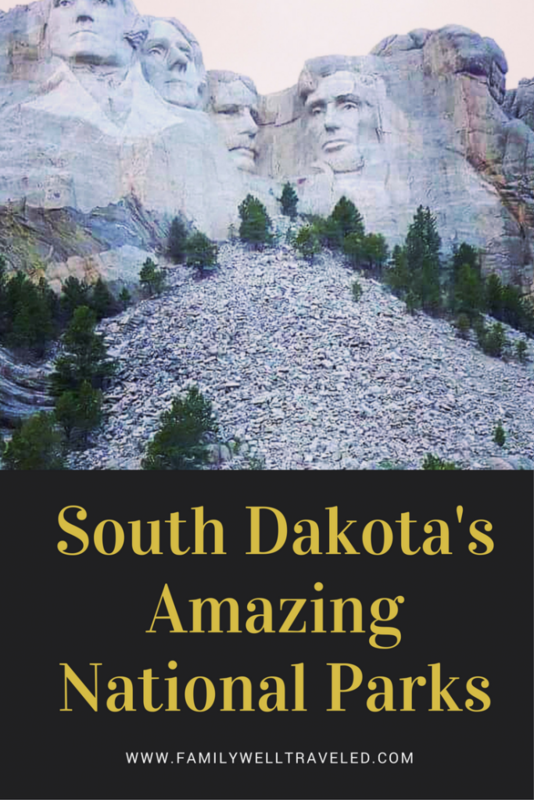 One of those cities that I would love to visit, Dakota has great list of parks especially the Mount Rushmore Memoria and the Wind Cave National Park. I’ll surely visit these two places first the I’ll visit the rest. They are two great parks to visit. U.S. road trips are like no other place! I have always wanted to visit Badlands and Rushmore. I’ve made it to Pierre and surrounds. Looks like a great trip for families, too. We have several of these places on our itinerary for this summer. Can’t wait! I haven’t heard of the Minuteman Missile Historic Site before though. We may have to add that one to our list. Thanks for the helpful tips! 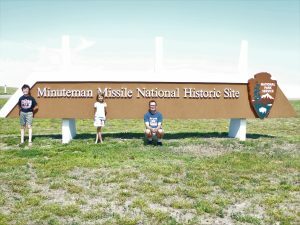 If you are heading to Badlands, you must stop at Minuteman Missile National Historic Site. Thy are right next to each other. Just this week, almost two years after our visit, our son was talking about Minuteman Missile. It is a unique, informative, fun stop.